The rich blend of plant oils and the pleasant fragrance of lavender essential oil make the perfect combination for an excellent relaxing massage, which can offer relief for tired muscles. This product is enriched with Arnica Montana flower extract and it has many qualities. Massage it in well all over the body every day for beautiful, soft skin. The fragrance of the lavender essential oil produces a marvellous sensation of wellbeing and it is renowned for its relaxing, unwinding and calming properties. 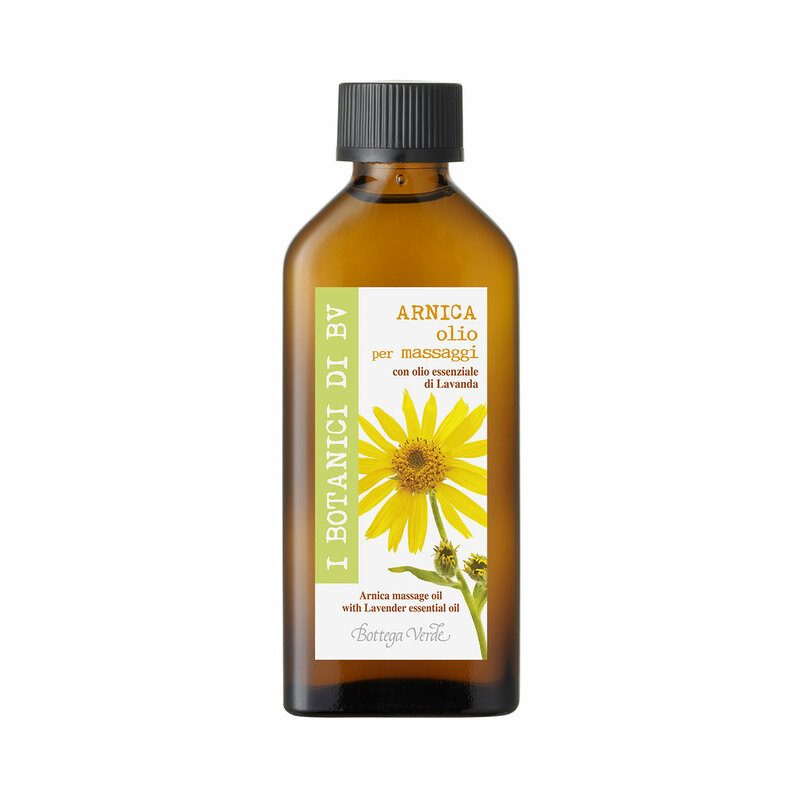 This product is enriched with Arnica Montana flower extract and it has many qualities. Massage it in well all over the body every day for beautiful, soft skin. The fragrance of the lavender essential oil produces a marvellous sensation of wellbeing and it is renowned for its relaxing, unwinding and calming properties. Choose it if you want a product that contains no mineral oils or colourings. Actions:Its formula is ideal for relieving tired muscles with an excellent, relaxing massage. Direction for use:Use it to massage the body, pushing in gently with your fingertips. Start with the ankles and move up as far as the nape of the neck. Scent:The distinctive scent of lavender. Suggestions:Anyone who wants a good massage. Characteristic:Plant oil lightly fragranced with lavender essential oil.